This summer, Cynthia Rybakoff will open a NYC showroom and studio in the historic Bennet Building, located in NYC's Financial District. The landmarked site was previously the location of New York's famed Diamond District, which thrived near the intersection of Fulton and Nassau during the 1930's, before moving to it's present 47th street location. The Bennet Building, constructed in 1873 in Second Empire style, has been described as a major monument to the art of cast-iron architecture, and the tallest habitable building with cast facades ever built. 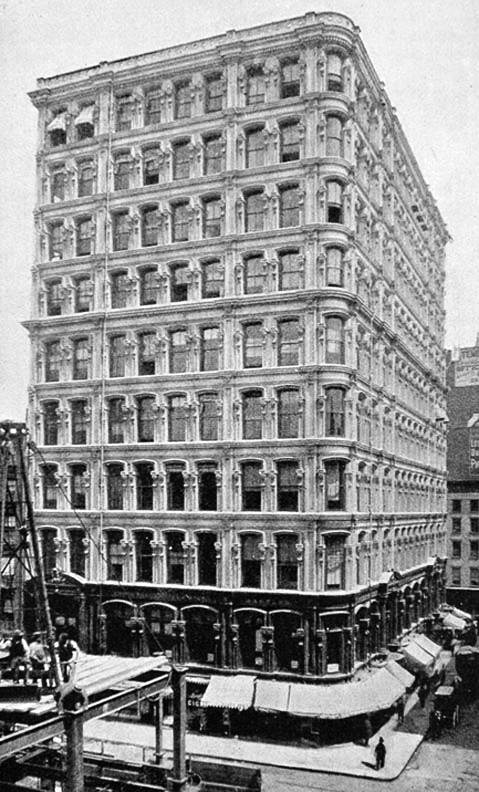 Office buildings like this flourished in Lower Manhattan after the Civil War, and the Bennet Building is one of 2 such buildings with cast iron fronts standing south of Canal Street.